Hog roasting makes a delicious and really practical way catering for a large party. . . 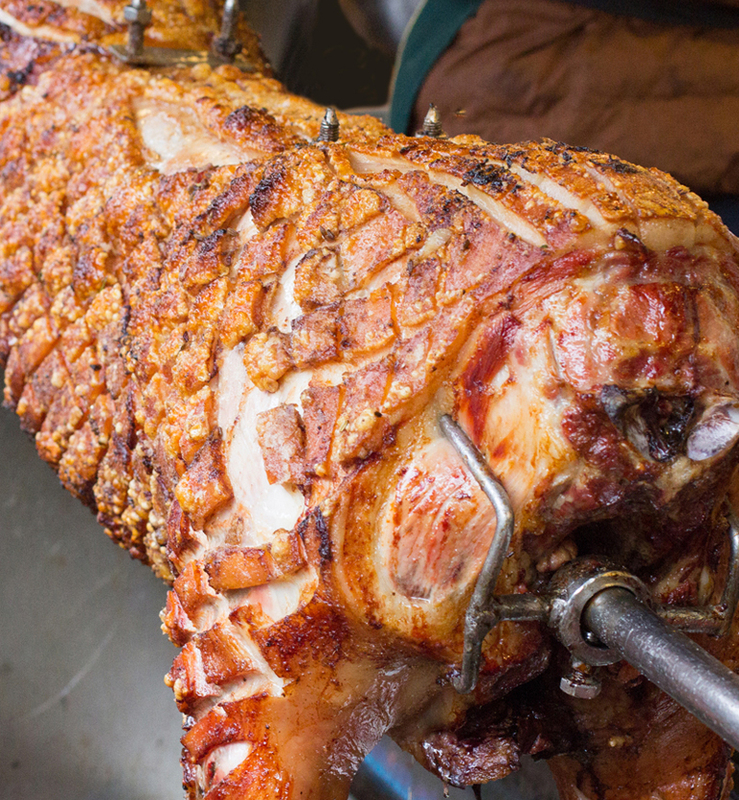 Spit roasting makes for a spectacular event, with mouth- watering aromas and crackling to die for. And it doesn’t just have to be pork, lamb also cooks brilliantly on the hog roaster. As the animal is left whole, all the juices are sealed in and this combined with slow cooking, produces meat that is incredibly tasty and tender. We have a company that will deliver the hog roaster for you and we can provide the meat. Contact us for more information.